How about that even-year Dynasty? 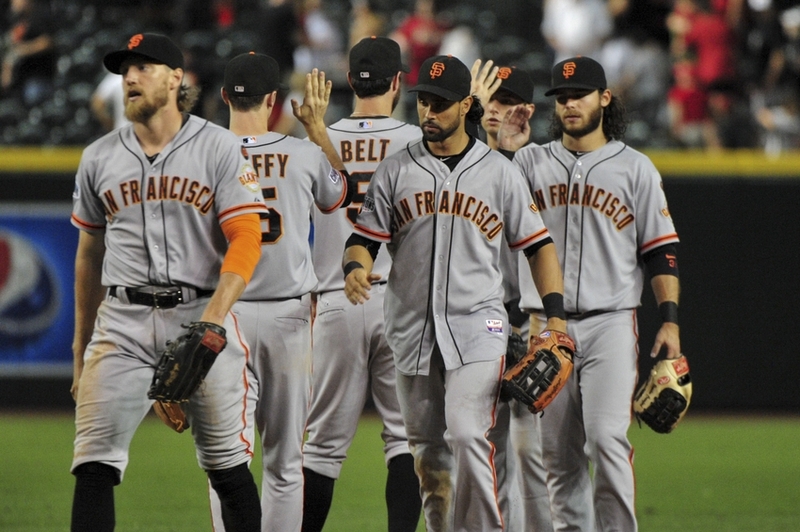 Sounds a little bit odd, but with championships in 2010, 2012, and 2014, the 2016 San Francisco Giants are looking to add their 4th title in 6 years. I don’t know about you, but that to me sounds like a dynasty. 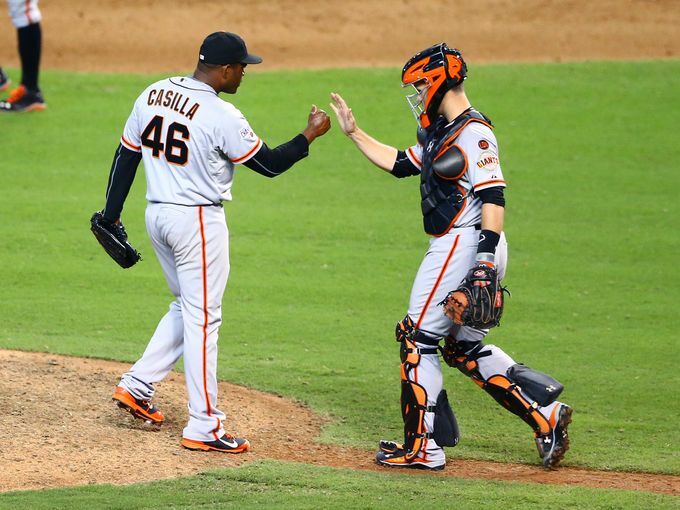 2015 Season: The 2015 Giants saw their season end much like the 2011 and 2013 Giants before them; a season marred by injuries while keeping pace with the Dodgers in the NL West long through the All Star Break. 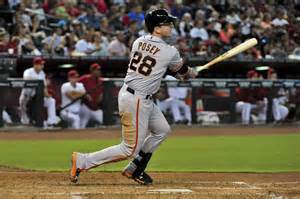 Anchored by the always reliable Buster Posey, the offense still managed to struggle at home with manager Bruce Bochy constantly shuffling around the lineup to find his groove. This was at no fault to rookie of the year candidate Matt Duffy, who helped make the Panda go extinct in the minds of Giants fans. Second baseman Joe Panik saw his sophomore season cut short by nagging back injuries, and the Boys from the Bay were unable to put together a consistent outfield with Nori Aoki and Hunter Pence spending significant time on the Disabled List. The rotation had its share of struggles behind the ever steady and steely gaze of Madison Bumgarner, as Matt Cain never truly rounded back into his 2013 form after missing half of the 2014 and the early part of the 2015 season. Tim Lincecum seemed to have lost the stuff that won him 2 Cy Young awards in what was the beginning of a stellar career, and age reared is ugly head for both Jake Peavy and Tim Hudson. A midseason trade for the now St. Louis starter Mike Leake never panned out as hoped, as injuries also took its toll on the 28 year old right hander. The lone bright spot for this embattled group of hurlers came in July when rookie Chris Heston no hit the eventual NL Champion New York Mets. There’s a sentence no one thought they would’ve been reading a year ago! Key Additions: Brian Sabean, the longest tenured GM in baseball, went to work this offseason by shoring up an iffy rotation, which has long been a trademark of Bruce Bochy coached champions. They added bonafide #2 and #3 starters in Jeff Samardzija and Johnny Cueto, with the hopes that pitching coach and possible wizard Dave Righetti can work his usual magic and make Shark’s underwhelming 2015 a blip on the radar. 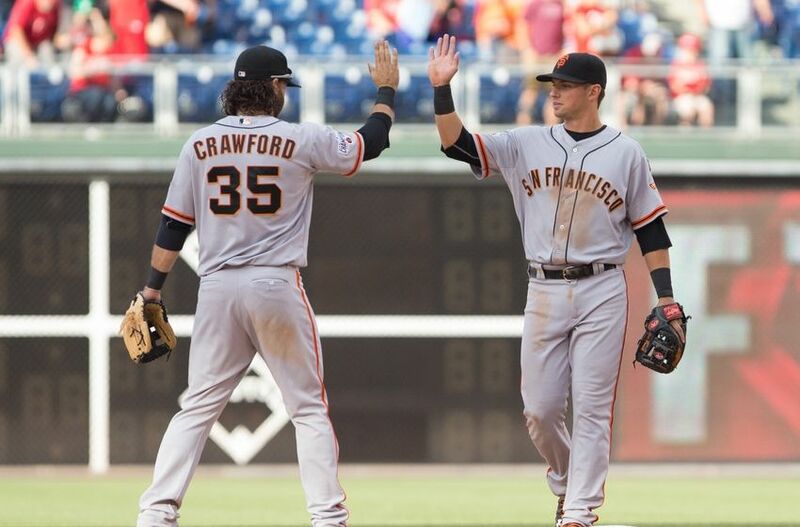 The Giants locked up the linchpin of their infield, Brandon Crawford, to a team friendly 6 year 75 million contract. The way Crawford’s career arc has progressed, this deal was a “home run” (cue the rimshot, please). Brandon Belt quietly re-upped for one more year with the hopes of realizing his pre-concussion filled rookie season that saw a minor league masher become a major league disappointment. The outfield got a much needed boost with the addition of 32 year old Denard Span, giving the team a legitimate center fielder they’ve lacked in recent years (taking into consideration the Aaron Rowand disaster). Key Losses: 2015 saw the retirement of left-handed reliever Jeremy Affeldt. Affeldt, part of 3 championship teams with the Giants, saw his season come to an early end due to injuries. After 14 years between the Royals, Rockies, Reds, and Giants, the big lefty decided to call it quits. Hoowever, the biggest loss for this Giants team may have been the pitcher they couldn’t land. Early reports had the Giants as one of the frontrunners along with division rival LA Dodgers to land Zach Grienke when *gasp* the Diamondbacks swooped in with a lucrative offer, sticking it to the NL West and quite frankly, baseball in general. 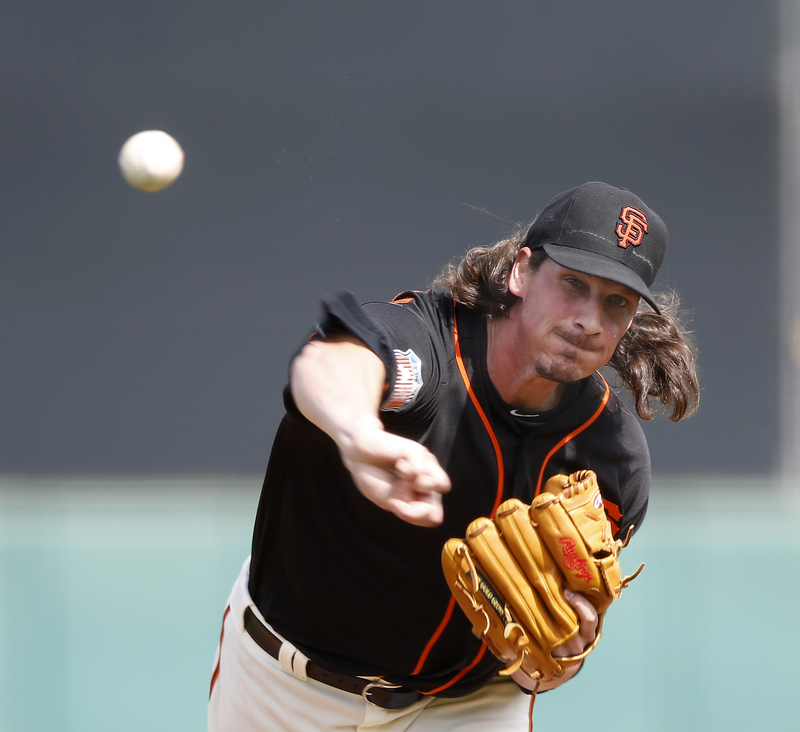 After trading for Mike Leake, the Giants were unable to come to terms with him following the signing of Jeff Samardjiza, and Leake found himself with the St. Louis Cardinals. With Joe Panik expected to make a full recovery from back injuries that plagued him last season, as well as the continued progression of Brandon Crawford and Matt Duffy, there is no reason not to believe that this infield could be baseball’s best. In fact, the Giants boasted baseball’s best infield in terms of WAR on July 1st (which I still find to be a baseless stat invented by the nerds to ruin baseball), coming in at nearly 13 WAR by July 1st, with the Toronto Blue Jays the closest behind them at 11 WAR. This infield will be responsible for the expected resurgence of Jeff Samardjiza, as well as becoming the heart of the lineup for the 2016 San Francisco Giants. HBT’s 2016 Season Prediction: It won’t be easy. It might not even be fun. But the “roaches” (as Brian Sabean so affectionately referred to his team during the 2014 playoffs) will emerge from their odd-year darkness to reclaim baseball glory. The road will be difficult as always, with the reigning NL West Champion Dodgers standing in their way, and a suddenly reloaded Arizona Diamondback squad, but a revamped pitching staff and an infield that looks to be tops in the league will help guide this team to 92 wins, an NL West crown, an NL Pennant, and a World Series title. After all… that’s how the Giants’ 2016 story is supposed to end right? Packers, Yankees/SF Giants, Islanders, OKC. Fordham U ’12. Defies all conventional thinking. Multi-talented musician and semi-readable writer. Believes that the nerds ruined baseball. Loves French Toast but hates syrup. Will rant about Kurt Warner for a Klondike Bar.